Norwegian Star blends the relaxed Freestyle Cruising concept with cruises to the Baltic capitals, the Caribbean and the Transatlantic. 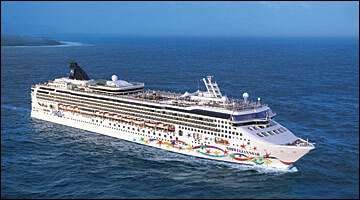 Onboard, Norwegian Star features 15 delicious dining options, 11 bars and lounges, a sprawling spa, an always-exciting casino, plus tons of fun for kids of every age. So, whether youre exploring Northern Europe sipping Piña Coladas in the Caribbean, or cruising across the Atlantic, this ship offers it all.